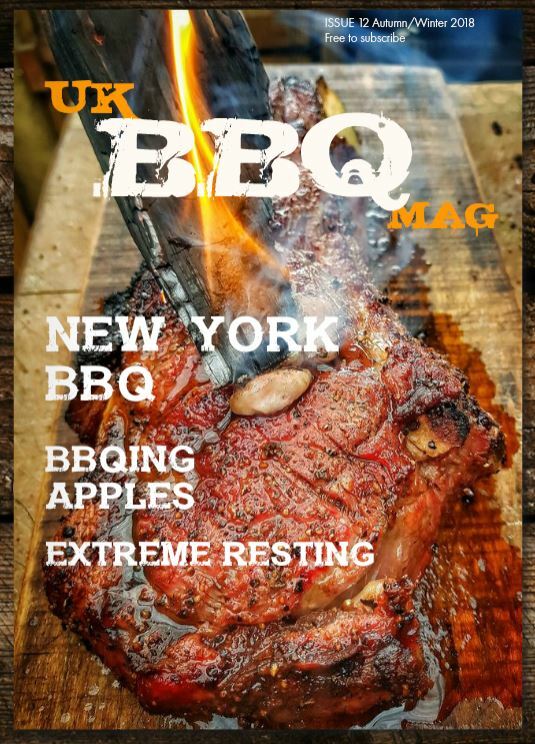 As the BBQ scene grows in the UK plenty of new brands are appearing, some from large faceless companies, others from smaller BBQ enthusiasts who are passionate about launching their brand. 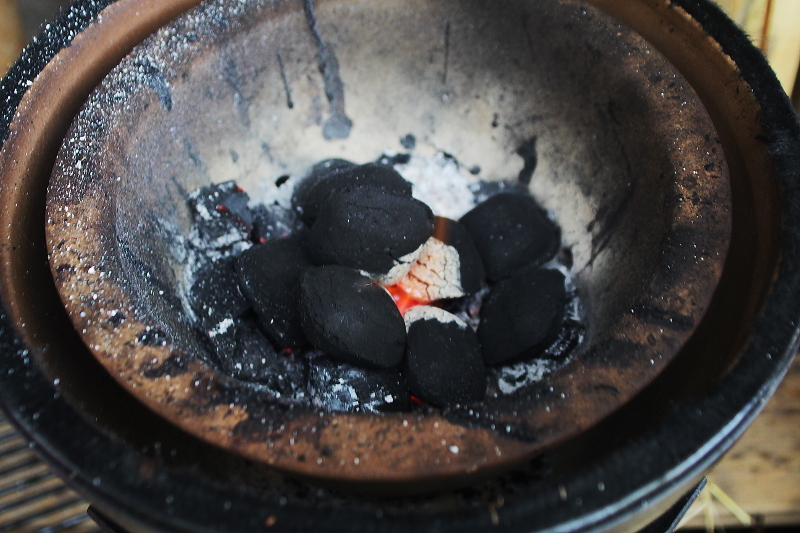 Quinta Kamado is defintely the latter, and is BBQ fanatic James Mitchell’s entry into the ceramic kamado market. 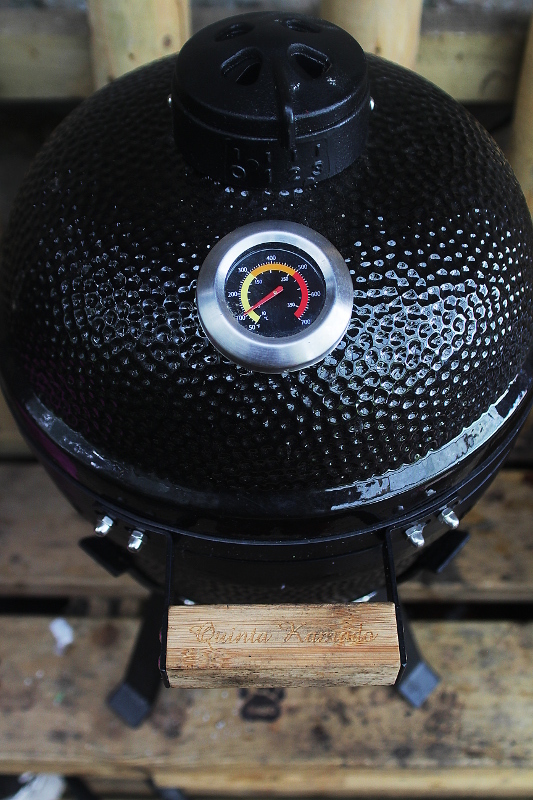 There are some well established brands vying for the market in the UK … Big Green Egg, Kamado Joe, Grilldome, Primo and Monolith now, so I was interested to see how James’ Quinta Kamado fitted into the market. 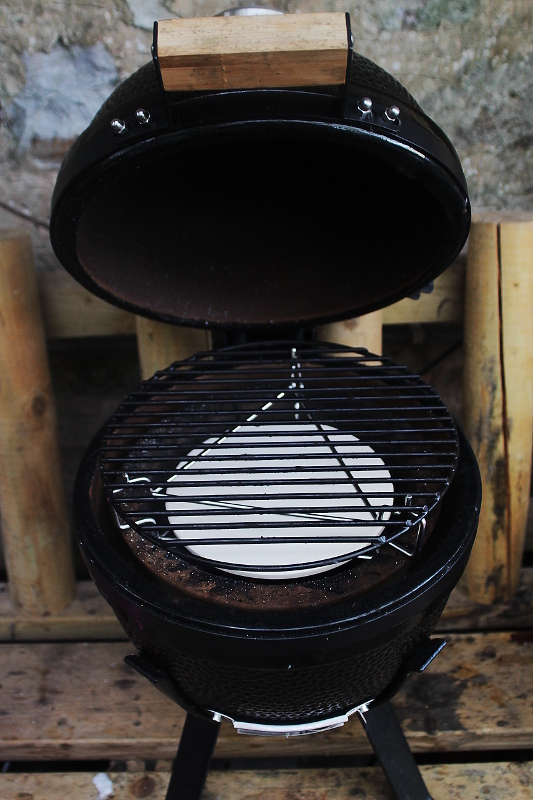 I have personally been using a Kamado Joe Classic for a number of years now, and know that ceramic BBQ’s are a great bit of kit when executed well. I was sent a small size Quinta Kamado by James to try out, and have done loads of cooking on it since. The small size is never going to be big enough for some cooking, but I was able to cook a fair few meals in it for my family of 5, or just a nice couple of steaks or chops for my wife and I. 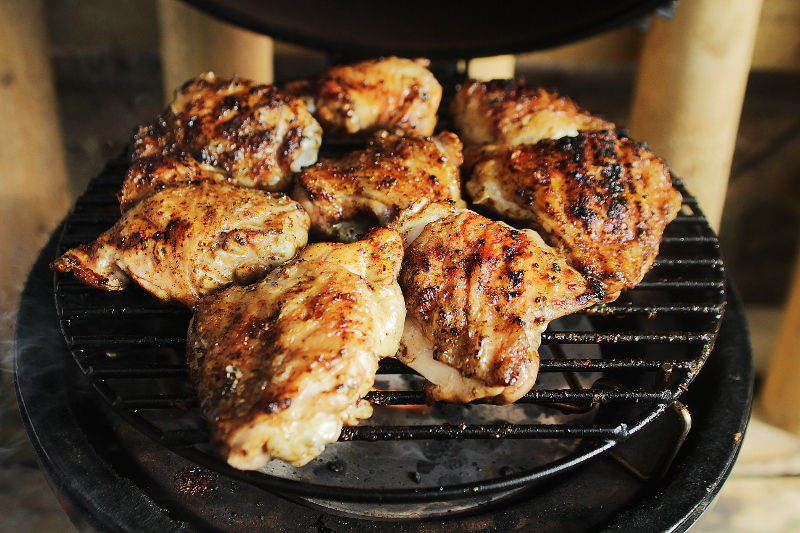 The cooking grate is 35cm in diameter, enough for a few chicken breasts, a couple of steaks, or a bunch of chicken thighs. I found the size to be quite versatile actually, and it makes a good support act when my other smokers are full to the brim. 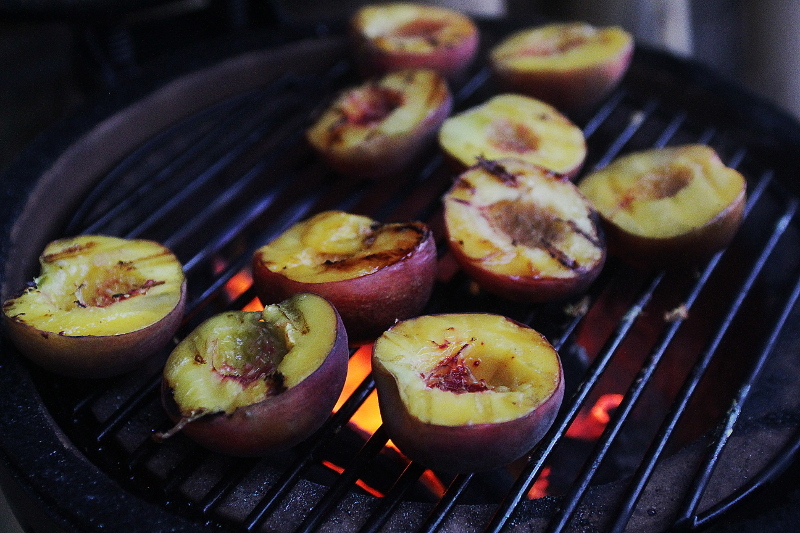 I especially like doing a pudding dish on the Quinta, such as grilled peaches. The ceramic is of good quality, and the fittings, hinges etc. are substantial and well made. The cast iron top vent has 3 positions, and the inlet vent is stainless. The small comes as a bundle, with a well made cover, grate, ceramic plate setter and riser for indirect cooking, a pizza stone (for very small pizzas, but useful as a hot plate) a handy lifting grip, a heat resistant glove and a stand, a bargain at £249 including delivery. Larger sizes are available. The large size bundle come in just below £750.. So how does the Quinta Kamado fit in the market? A ceramic BBQ is a big investment for most, the small size is a great first step into kamado cooking. The larger sizes come in at less than most of the rivals, and the quality is still very good. I have heard horror stories of poor customer service from rival brands, but James offers excellent service and is really proud of his brand, any questions I had were quickly dealt with. I would happily recommend the brand as a slightly cheaper alternative to the mainstream brands. See link below for a live video cook I did recently. Please note I was sent the Quinta Kamado to review, but was free to review as I wanted. Thanks for this review, I’ve been looking at one of these being a bit of a BBQ fiend, so this may sway my decision. A good value for money option in the Kamado world.